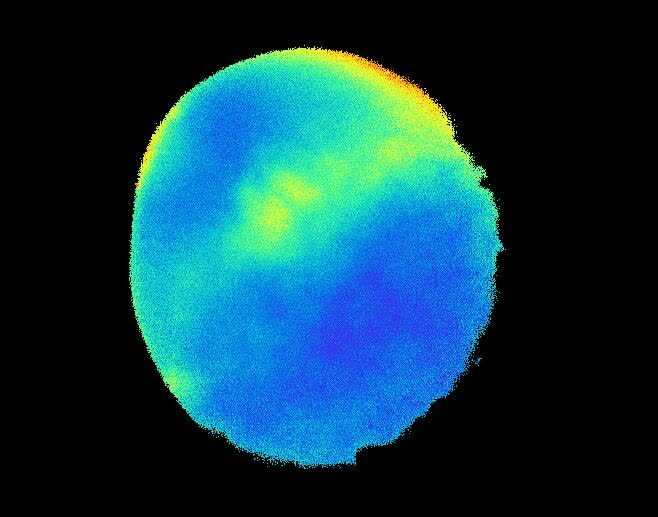 Calcium image analysis of an early stage wild-type embryo using ratiometric calciumsensitive Fura-2 dye. Imaging was initiated at the 2-cell stage to insure that imaged embryos were fertilized. Images in the movie correspond to embryo in Fig. 1A (second cleavage furrow), and Fig. S1A (third cleavage furrow) after a 90°C counterclockwise rotation. The presented movie is representative of movies in three analyzed wild-type embryos. See Methods, Fig. 2 legend and Fig. S1 legend for details.